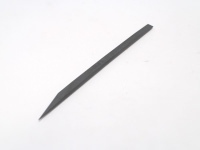 This is the take apart tool that you need for most newer model powerbook repairs in addition to the T8 Screwdriver available by clicking here. For most newer model powerbooks, you will need both screwdrivers. If you are performing a hinge repair on the Titanium model, then you will need this screwdriver for the screws along the display casing.